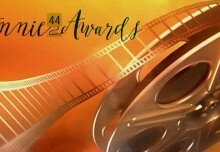 LOS ANGELES, Calif. (February 3, 2018) – Pixar Animation Studios was the big winner at this year’s 45th Annie Awards™ as Coco won Best Animated Feature, and garnered top honors across 11 categories including Best Animated Effects – Shaun Galinak, Dave Hale, Jason Johnston, Carl Kaphan, Keith Daniel Klohn; Character Animation –John Chun Chiu Lee; Character Design – Daniel Arriaga, Daniela Strijleva, Greg Dykstra, Alonso Martinez & Zaruhi Galstyan; Directing – Lee Unkrich, Adrian Molina; Music – Michael Giacchino, Kristin Anderson-Lopez, Robert Lopez, Germaine Franco, Adrian Molina; Production Design – Harlye Jessup, Danielle Feinberg, Bryn Imagire, Nathaniel McLaughlin, Ernesto Nemesio; Storyboarding – Dean Kelly; Voice Acting – Anthony Gonzalez as Miguel; Writing – Adrian Molina, Matthew Aldrich and Editorial – Steve Bloom, Lee Unkrich, Greg Snyder, Tim Fox. The Best Animated Feature-Independent was awarded to The Breadwinner (Cartoon Saloon/Aircraft Pictures/ Melusine Productions). 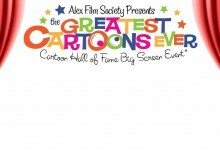 Best Animated Special Production was awarded to Revolting Rhymes (Magic Light Pictures); Best Animated Short Subject – Dear Basketball (Glen Keane Productions, Kobe Studios, Believe Entertainment Group); Best Animated TV/Broadcast Commercial – June (Broad Reach Pictures/Chromosphere/Lyft); Best General Audience Animated TV/Broadcast Production Rick and Morty – Episode: 30 ‘Pickle Rick’ (Williams Street Productions); Best Animated TV/Broadcast Production for Children We Bare Bears Episode: Panda’s Art (Cartoon Network Animation Studios); Best Animated TV/Broadcast Production for Preschool Children Octonauts – Episode: Operation Deep Freeze (Vampire Squid Productions Limited, a Silvergate Media company, in association with Brown Bag Films); and Outstanding Achievement for Character Animation in a Live Action Production: War For The Planet of The Apes (Chernin Entertainment, TSG Entertainment, River Road Entertainment, 20th Century Fox, Daniel Barrett, Sidney Kombo-Kintombo, Emile Ghorayeb, Luisma Lavin Peredo, Alessandro Bonora). The evening was dedicated to the late June Foray, the legendary voice actress who was, more than anyone else, is responsible for founding the Annies 45 years ago. June’s creativity, generosity and unrelenting advocacy for the animation community were evident in the touching presentation. ASIFA-Hollywood was thrilled to have all three Winsor McCay recipients in attendance. The Winsor McCay Award for career contributions to the art of animation are being presented to three recipients – British character animator, James Baxter; SpongeBob SquarePants creator, Stephen Hillenburg and the Canadian animation duo, Wendy Tilby & Amanda Forbis. The Ub Iwerks Award for technical advancement that has made a significant impact on the art and industry of animation was presented to TVPaint for its versatile software for 2D animation. The Special Achievement Award recognizing the unique and significant impact on the art and industry of animation was presented to Studio MDHR Entertainment for its 1930s inspired wonder-game Cuphead; and the June Foray Award for significant and benevolent or charitable impact on the art and industry of animation was presented to animation historian, Didier Ghez. The Certificate of Merit award was presented to David Nimitz, devoted friend and caretaker of veteran voice actress and ASIFA-Hollywood and Annie Award pioneer, June Foray, who passed away last July at the age of 99. 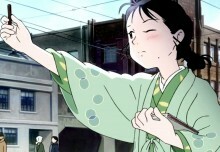 The Annie Awards™ honor overall excellence as well as individual achievement in a total of 36 categories from best feature, best feature – independent, production design, character animation, and effects animation to storyboarding, writing, music, editing and voice acting, and have often been a predictor of the annual Academy Award for Best Animated Feature. The ceremony was live-streamed again this year at www.annieawards.org/watch-it-live where animation enthusiasts and those unable to attend the event, could watch the show. 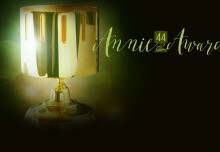 A complete list of winners can be viewed at www.annieawards.org and highlights of the ceremony will be uploaded to the Annies website in the next few weeks.